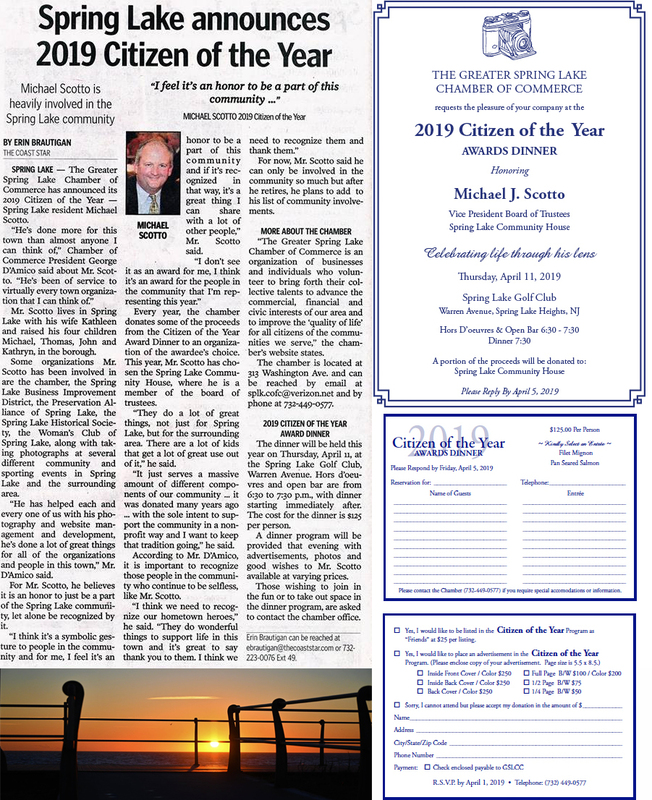 Michael J Scotto has been selected as the 2019 Citizen of the Year. In his professional life Michael is a Managing Director at Morgan Stanley in the Wealth Management Division. 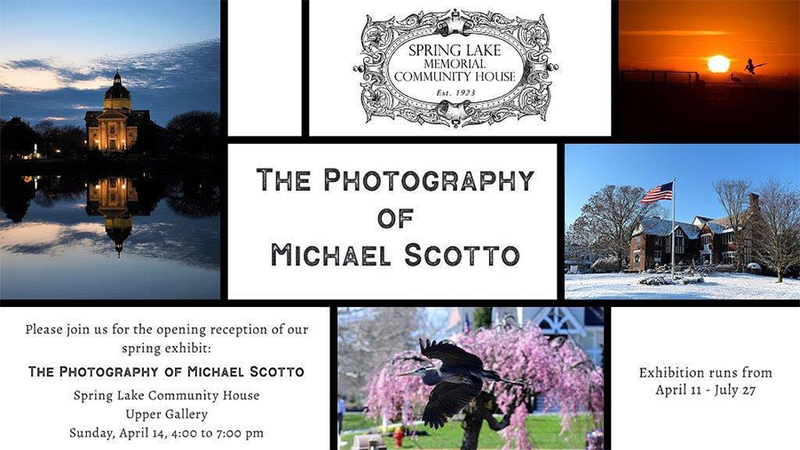 In his artistic life he is an extraordinary photographer who has been a driving force in celebrating the beauty of Spring Lake and sharing it with thousands of Internet users. As an administrator of over 30 Facebook pages including the Greater Spring Lake Chamber of Commerce, the Spring Lake 5- Mile Run and the Borough of Spring Lake, he is a ubiquitous presence at countless events and festivals throughout the year. Michael has promoted his home town and the beauty of the Jersey Shore using his photos of the amazing SL beach and boardwalk, the spring- fed lake with St. Catharine’s church and the unparalleled public gardens and absolutely captivating surfing shots. Michael has single handedly contributed to the growth of the critically important tourism industry with his inviting photos which bring visitors, not only to Spring Lake, but to the entire “down the shore” mystique. Michael also volunteers his expertise to many organizations in Spring Lake and neighboring Boroughs. He has been active in the St. Catharine’s School, St. Rose High School, the Spring Lake 5-Mile Run and the Spring Lake Community House, where he is currently Vice President of the Board of Trustees. Michael and his wife, Kathleen, moved to Spring Lake in 1991 with their two sons, Michael and Thomas. Since moving to town, they welcomed two more children, John and Kathryn. The Greater Spring Lake Chamber of Commerce is proud to honor this “Spring Lake Favorite Son”. Spring Lake's 2017-2018 Citizen of the Year! The news was announced at the chamber meeting on Wednesday, Feb. 1. 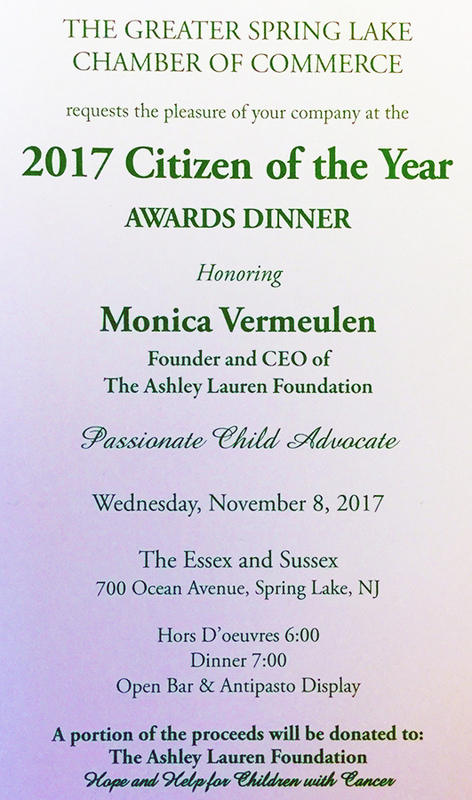 Ms. Vermeulen is the CEO and founder of Ashley Lauren Foundation, an independent 501[c] nonprofit organization that supports local families with children diagnosed with cancer. “I was totally humbled by the news,” Ms. Vermeulen told The Coast Star, about finding out about the recognition when Greater Spring Lake Chamber of Commerce President George D’Amico called her less than a week before the meeting. Ms. Vermeulen’s own daughter, Ashley Lauren, was diagnosed with a Wilms Tumor, a type of kidney cancer, at 3-years-old in 1991. Ashley dealt with chemotherapy and its consequences for many years, but now lives her life without the disease in Belmar. She is currently 29-years-old and works as a fitness and dance instructor. 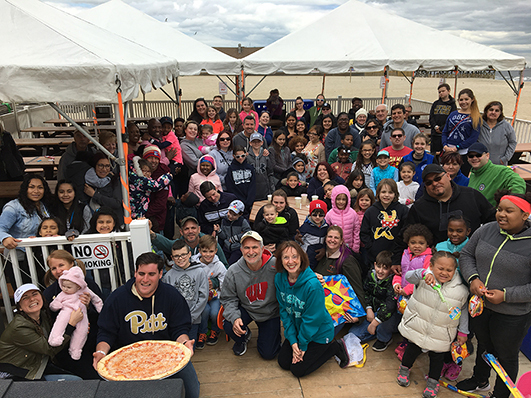 After enduring the travails that come with battling pediatric cancer, Ms. Vermeulen was inspired to set up an organization that helps other families dealing with the same difficulties day in and day out. 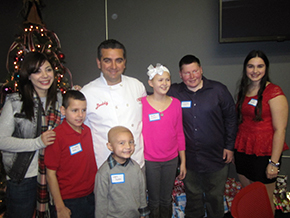 “We experienced a tremendous amount of hardships, first and foremost just watching your child suffer through all of the pitfalls of the disease, all the effects from the chemotherapy and radiation treatments, the emotional stress, the financial stress. Knowing what we went through and realizing how all-encompassing it was on all levels, I realized that the need for support was so vital,” Ms. Vermeulen said. 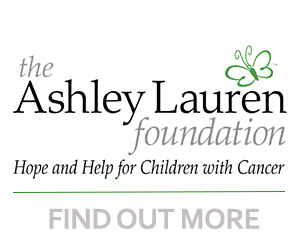 The Ashley Lauren Foundation, incorporated since 2005, uses the funds raised to offer financial and emotional aid to the families battling pediatric cancer, as well as to provide uplifting programs to the ailing children. The programs the foundation offers to the children range from parties, outings, a birthday program and a “Making Dreams Come True” program. 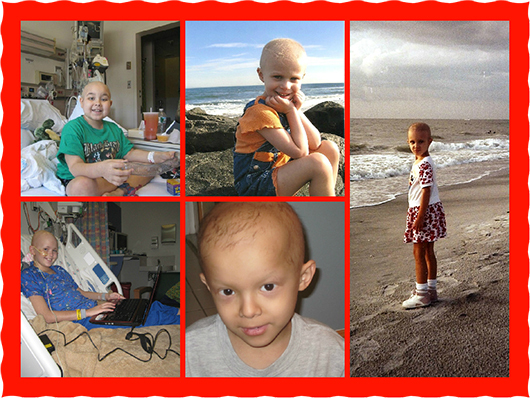 The foundation learns about the families with pediatric cancer through referrals from all of the hospitals in New Jersey that deal with pediatric cancer as well as Children’s Hospital of Philadelphia and Memorial Sloan Kettering Cancer Center in New York. “As long as the child lives in New Jersey, we will assist, we cover the whole state,” Ms. Vermeulen explained, noting that the foundation’s hallmark is financial assistance. The foundation covers anything from household bills to travel expenses from journeying back and forth to the hospital. Ms. Vermeulen recognizes the financial aid needed for these costs because the diagnosis of pediatric cancer usually means one parent has to stop working in order to care for their child. Prior to establishing the foundation in 2005, Ms. Vermeulen received a bachelor of arts degree in nonprofit management with a focus on pediatric cancer from Stockton University so that she could be wholly knowledgeable on how to run a nonprofit. 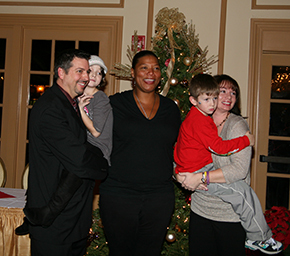 After running the Ashley Lauren Foundation in Colts Neck for about nine years, Ms. Vermeulen moved the foundation to Morris Avenue in Spring Lake two years ago. This is the 12th year the Greater Spring Lake Chamber of Commerce has named a Citizen of the Year. The Greater Spring Lake Chamber of Commerce encompasses Spring Lake, Spring Lake Heights, Lake Como and Sea Girt. “We’re looking for people who have done wonderful things from all of those towns,” Ellen Manger, executive director of the Greater Spring Lake Chamber of Commerce, said of the criteria for choosing the Citizen of the Year. The chamber’s board of directors receives nominations for Citizen of the Year from both chamber members and nonmembers. The number of nominations the chamber receives each year varies. The board of directors meets to review the qualifications of those nominated and selects one person as Citizen of the Year, Ms. Manger explained. “It’s more of a global person, giving of themselves, and they have a connection with Spring Lake, their business is here, they live here, they’ve done good work here and they’re part of our community,” stated Ms. Manger. The chamber recognizes the Citizen of the Year at a formal dinner every spring. The details of the event are currently in the works, but a portion of the net proceeds from the dinner will go to the Ashley Lauren Foundation and the Greater Spring Lake Chamber of Commerce. 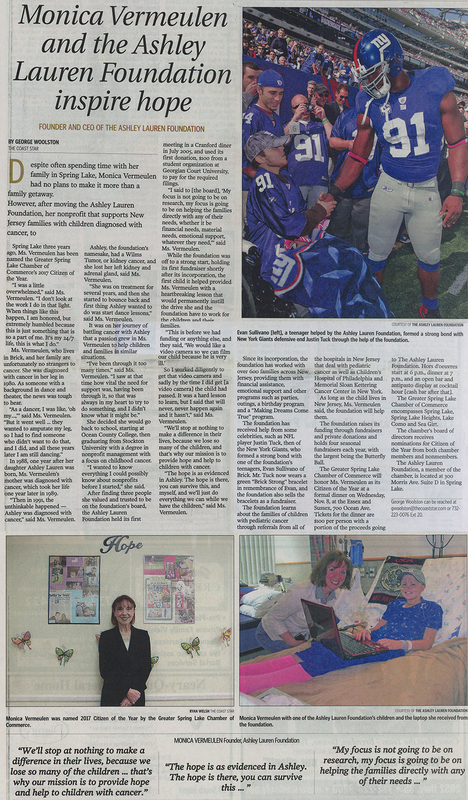 The Ashley Lauren Foundation is located at 300 Morris Ave. Suite D in Spring Lake. 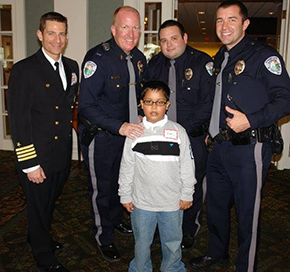 The foundation is a member of the Greater Spring Lake Chamber of Commerce.